What path will my son or daughter take? 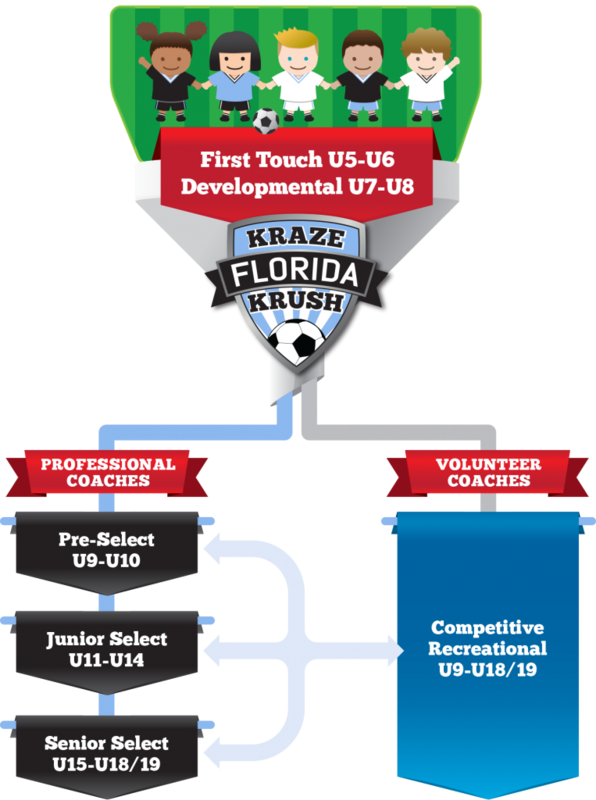 FKK ultimate goal is to have all players start with the basic fundamentals of soccer at our First Touch or Developmental programs. From there, based on thier skill level, desire to be on the field and time you can commit — your player will either go to the Recreational side where teams are coached by parent volunteers. If your son or daughter is showing a higher level of soccer, you will want to try out for the “Select” level where teams are trained by licensed coaches.